Of the total transport volume, export shipments stood at 1.55 million tonnes (-0.5%) and imports at 4.15 million tonnes (+21.4%). 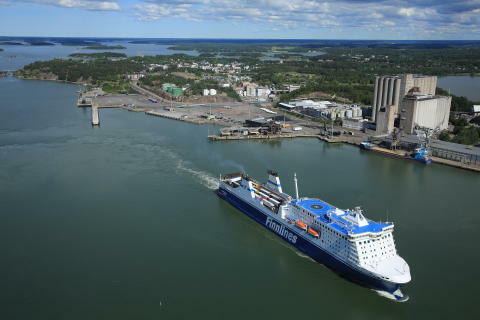 Incoming domestic transports totalled around 0.60 million tonnes (-8.7%) in the Naantali port area, and outgoing domestic shipments totalled 1.54 million tonnes (+59.0%). 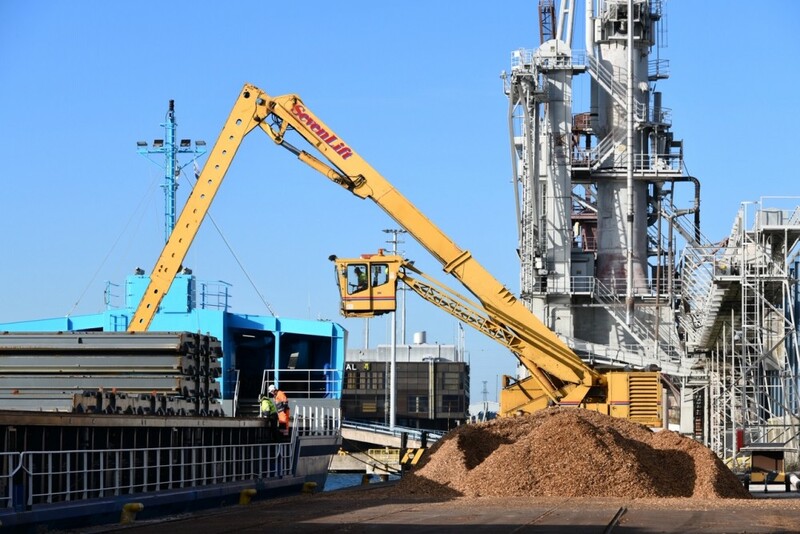 Photo: Port of Naantali: discharging wood chips in the Port of Naantali. Wood chips will increasingly replace coal in the raw material shipments needed for heat production in TSE’s (Turun Seudun Energiantuotanto Oy) multi-fuel power plant located next to the port. A conveyor for transferring the wood chips between the power plant and the port was introduced in late 2018. The conveyor is part of a project during which the power plant will be gradually converted to use only biofuels instead of coal. In 2018, coal imports totalled around 0.27 million tonnes, down by nearly 0.24 million tonnes or around 46% on the previous year.